Imagine having cancer and being told that most of your treatment will happen in your home instead of a high-tech cancer center. That may sound preposterous, but it’s closer to happening than you might think. Each year, about 1.7 million Americans are diagnosed with cancer. Within a year of diagnosis, three-quarters of those with advanced cancer end up in the hospital; 1 in 6 are hospitalized three or more times. And nearly everyone who needs chemotherapy spends hours a day in physician offices or outpatient clinics. Medicare spends nearly $30 billion on its beneficiaries with cancer in their first year of diagnosis. Depending on the diagnosis, hospitalizations account for 25 percent to 50 percent of that spending. Chemotherapy and its administration account for a good portion of the rest. We believe there’s a better place to treat cancer. Just as telemedicine is dramatically changing how primary care is delivered, much of cancer treatment can be delivered safely, effectively, and less expensively at home. As we wrote recently in the Journal of Clinical Oncology, cancer care at home could yield equal or higher-quality cancer care and greater patient satisfaction at lower cost than traditional care in a hospital or physician’s office. Infusions of many cancer drugs could also be given at home, moving the dominant site of cancer care from hospitals and outpatient clinics to the home. Cancer care at home leverages medical and nursing teams that provide an array of services that includes home visits, intravenous medicine, careful monitoring, and lab testing. Successful models exist internationally, and the building blocks are already in place in the United States. For example, hospital at home programs, in which hospital-level medical care is provided in a patient’s home, have been fielded for skin infections, pneumonia, and other non-cancer illnesses by Johns Hopkins, Mount Sinai, Brigham Health, and Cedars Sinai. People with cancer, who are at particularly high risk for hospital-related complications like infections or blood clots, stand to benefit tremendously from cancer care at home. Several studies, for example, have shown that treating patients with fevers associated with abnormally low white blood cell counts (which often occur during chemotherapy) outside the hospital is as safe and effective as treating them in the hospital, at half the cost. The cancer care at home model could become a reality by taking three steps. First, we need to better understand who needs what kind of care. Some people with cancer have medically complex needs and should be treated in a hospital or clinic; others don’t. We need to develop criteria to sort out who should be treated where. These should account for the severity of the disease, expected side effects of the treatment, and patient and family preference. Hospital-at-home programs have shown that the care individuals receive at home, and their satisfaction with that care, are at least as good as in clinical settings. As digital health capabilities for home care accelerate with private sector investment, health systems should partner with industry to design and conduct demonstrations that compare the outcomes and costs of cancer care at home to usual practice. Second, we need to establish the logistics to efficiently provide resources and staffing for cancer care at home. We can draw lessons from the Department of Veterans Affairs, which provides some cancer treatments through its home-based hospice/palliative care program. It might seem that administering chemotherapy in physician offices would be more efficient that administering it in patients’ homes, but that isn’t always the case. 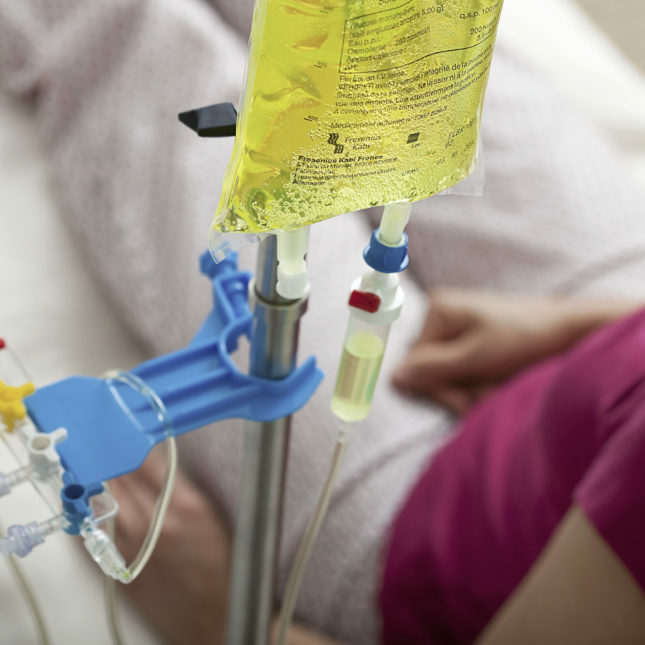 In one study, the nursing costs for intensive chemotherapy regimens delivered at home were 77 percent lower, and total costs (even accounting for transportation) were more than 50 percent lower than delivering these treatments in outpatient clinics. Third, Medicare, insurers, and other payers should develop new rules to appropriately pay for cancer care at home. At present, physicians and health systems are paid for giving cancer drugs in clinics and managing complications in hospitals. Public and private payers need to develop reimbursement policies that let patients with cancer receive hospital-level care and infused cancer drugs at home in order to promote — or at least not to obstruct — innovation in the delivery of cancer care that’s more patient-centric. It’s time to reimagine the role of hospitals and outpatient clinics in cancer care. Rather than being the routine site of care, hospitals and outpatient clinics should be reserved for the minority of cancer patients who require treatments that only hospitals and clinics can give. People with cancer will thank us for this change, from the comfort of their homes. Nathan R. Handley, M.D., is an oncologist at the Sidney Kimmel Cancer Center at Thomas Jefferson University. Justin E. Bekelman, M.D., is a radiation oncologist and director of the Penn Center for Cancer Care Innovation at the Abramson Cancer Center at the University of Pennsylvania. I couldn’t agree more. Especially in situations such as asymptomatic neutropenia. Put the Pt in the hospital? This is about the highest risk facility for further exposure to infection that I can imagine. As announced at the Digital Health Summit/Consumer Electronic Show a few weeks ago, StandUp2Cancer and Medically Home are partnering with Mass General to do cancer clinical studies in homes. This should help with recruitment and retention in trials, not to mention quality of patient and family life. At home treatment for cancer might also be accelerated by nontoxic or low toxcicity biologics where the risk of complications or adverse reactions are nonexistent or very low. This makes a lot of sense. When my father had stage 4 lung cancer, he was treated in-hospital for his chemotherapy. Just entering the place where the chemotherapy was given made him nauseous because he associated it with the side-effects of the chemotherapy itself. Eliminating that particular source of misery would be helpful, even if it didn’t reduce cost. On another related note, we need better drugs for suppressing intractable hiccups. In his last year of life, the radiation he was given when the cancer spread to his brain seriously degraded his quality of life because of the constant hiccups. I suspect that radiation oncologists err on the side of too much radiation, because they count suppressing the cancer as a win. That misses the big picture of what would really benefit the patient.